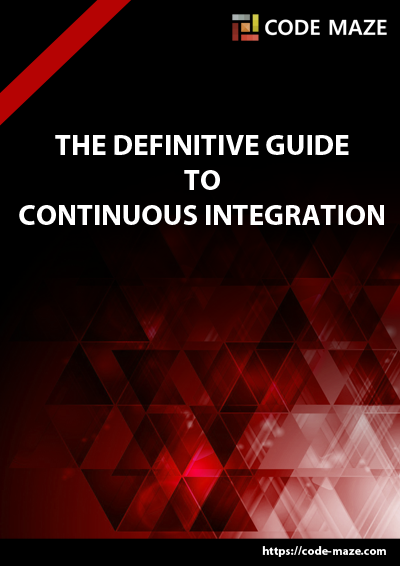 If you are familiar with the concept of Continuous Integration we can agree that using it has become mandatory. 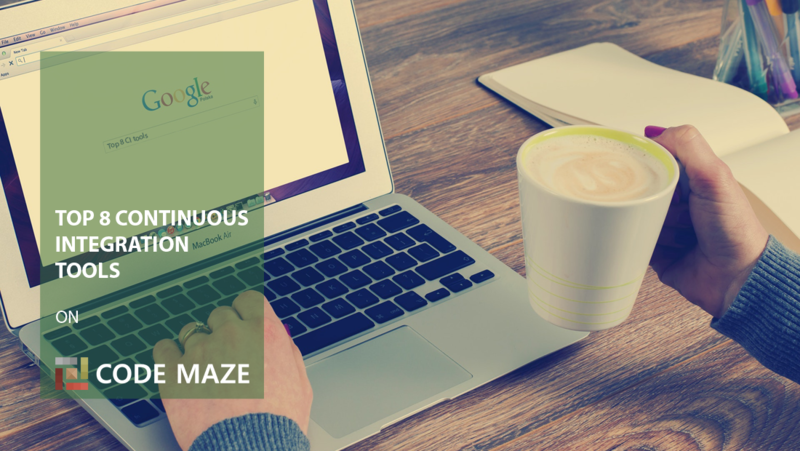 There are many Continuous Integration tools out there, and in this article, we will go through some of the greatest tools available on the market and see how they fare. After reading this list you will have a better understanding what tools are available to you and choose the perfect tool for yourself. On the other hand, if you are interested in mobile apps, there is a specific subset of tools that might suit you better, so check out our Top Mobile Continuous Integration Tools List. Jenkins is an open-source CI tool written in Java. It originated as the fork of Hudson when the Oracle bought the Sun Microsystems. Jenkins is a cross-platform CI tool and it offers configuration both through GUI interface and console commands. What makes Jenkins very flexible is the feature extension through plugins. Jenkins plugin list is very comprehensive and you can easily add your own. Besides extensibility, Jenkins prides itself on distributing builds and test loads on multiple machines. It is published under MIT license so it is free to use and distribute. Cloudbees also offers hosted solution in the form of the Jenkins in the Cloud. Verdict: One of the best solutions out there, both powerful and flexible at the same time. The learning curve could be a bit steep, but if you need flexibility it very well pays off to learn how to use it. TeamCity is the mature CI server, coming from the labs of the JetBrains company. JetBrains has established authority in the software development world, and developers all over the world use their tools like WebStorm and ReSharper. TeamCity offers all the features in its free version, but it is limited to the 100 build configurations and 3 build agents. Additional build agents and build configurations need to be purchased. Recently JetBrains started offering a cloud trial of TeamCity where you can try it out for one project without a hassle of having to install it on-premises. It lasts 60 days and you can export the project afterward. Out of the box, TeamCity works on many different platforms and has the support for wide variety of tools and frameworks. There are many publicly available plugins, developed both by JetBrains and third parties. Despite being the Java-based solution, TeamCity offers the best .NET support among the tools on this list. There are also different enterprise packages, that scale by the number of agents your company needs. 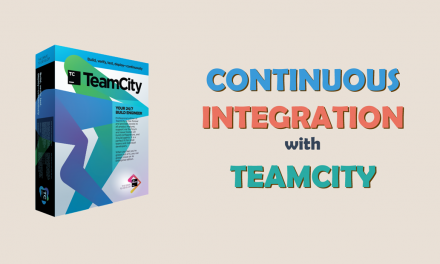 You can find a great in-depth case study on TeamCity here on our blog. Verdict: Great solution overall, but due to its complexity and price, better suited for enterprise needs. Travis CI is one of the oldest hosted solutions out there and it has won the trust of many people. 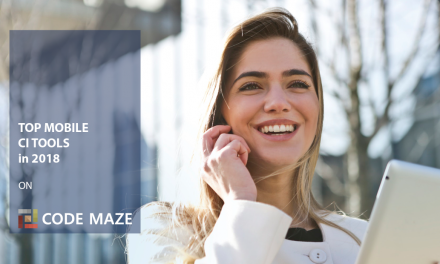 Although it’s mostly known for the hosted solution, it offers the on-premise version too in a form of enterprise package. Travis CI is free for all open source projects hosted on the GitHub and for the first 100 builds otherwise. There are a few pricing plans you can choose from, the main difference being the number of concurrent builds you can run. Builds are configured using .travis.yml file which contains the build tasks that will be executed on running the build. It supports a variety of different languages and a good documentation to back them up. Verdict: A Mature solution that offers both hosted and On-premises variants, loved and used by many teams, very well documented. Go is the newest Cruise Control incarnation from the ThoughtWorks company. Excluding the commercial support that ThoughtWorks offers, Go is free of charge. It is available for Windows, Mac, and various Linux distributions. What makes Go stand out from the crowd is the concept of pipelines which makes the modeling of the complex build workflows easy. On the pipeline concept, how it can help with Continuous Delivery and how it compares to Jenkins pipelines you can read here. Go CD supports pipelines from scratch and eliminates build process bottlenecks with the parallel execution of the tasks. Verdict: On-premises solution, great for complex scenarios, free of charge with paid support. Atlassian is the company focused on providing tools for software development teams and you might know them by their tools like JIRA and Bitbucket. Bamboo originally offered both cloud and On-premises solutions, but in the May 2016 the cloud version was discontinued in the favor of the Bitbucket pipelines (accessible through the left panel of your Bitbucket account). 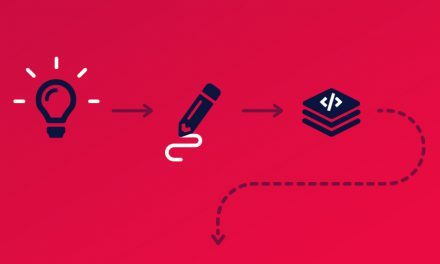 By utilizing the power of Docker, Bitbucket Pipelines is offering very efficient and fast builds that and is rapidly growing and becoming a worthy successor to the Bamboo Cloud. Bamboo is free to try for 30 days, and after that, there are two plans for small and growing teams. Being the Atlassian tool, it has the native support for JIRA and BitBucket and you can even import your Jenkins configurations into the Bamboo easily. Verdict: Great On-premises CI tool that originally offered Cloud solution too. Bitbucket Pipelines replaced the cloud solution. Pipelines is a modern and fast cloud CI tool integrated into Bitbucket. Has a free trial for 30 days, and paid plans after that. GitLab CI is an integral part of the open-source Rails project GitLab, which was brought to light by the company GitLab inc. It is hosted on GitLab.com, a free hosted service and it provides detailed git repository management with features like access control, issue tracking, code reviews and much more. GitLab CI integrates seamlessly with GitLab and it can easily hook projects using the GitLab API. GitLab runners that process builds are written in Go language and can run on Windows, Linux, OSX, FreeBSD, and Docker. The official Go runner can run multiple jobs concurrently and has inbuilt Docker support. Gitlab CI comes with both the open-source GitLab Community Edition and with the GitLab Enterprise Edition. Verdict: A Phenomenal hosted tool with impressive list of features, offers both free and enterprise solutions. Another cloud alternative that comes from the company with the same name. CircleCI currently only supports GitHub and the list of supported languages includes Java, Ruby/Rails, Python, Node.js, PHP, Haskell, and Scala. What separates CircleCI from the other tools is the way they offer services. The main pricing block for the CircleCI is the “container”. One container is free and you can build as many projects on it as you need. Once you start adding more containers (at a fixed price each) you can choose the level of parallelization that suits your needs. There are 5 levels of parallelization (1x, 4x, 8x, 12x and 16x). So, starting with the 16 containers, you can achieve maximum parallelization of 16x on one build. Or you can run 4 builds on 16 containers with 4x parallelization. It is up to you. And did I mention CircleCI supports Docker? Verdict: Flexible cloud CI tool that offers parallelization up to 16x. Excellent if you need something built fast and money is not the biggest issue (can reach up to $3150/mo). If you haven’t had enough hosted solutions up until now, here is another one. Codeship comes in two different versions: Basic and Pro. Basic version offers out-of-the-box Continuous Integration service but doesn’t have docker support and its main purpose is to build applications with common workflows through the UI. Pro version offers more flexibility and docker support. The basic version comes in several paid packages, where the more expensive ones have more parallelization power. In the pro version, you get to choose your instance type and the amount of parallelization up to 20x). It can get a bit pricey, but some teams may need that kind of power. Verdict: Powerful hosted solution with docker support, flexible plans suited both for small teams and enterprises alike. 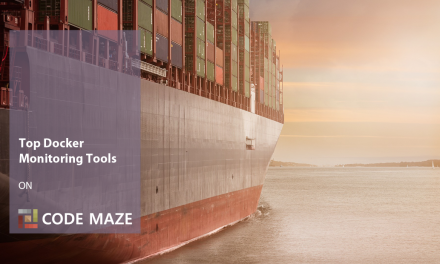 Many tools on this list have Docker support, but Codefresh was designed and built from the ground up specifically with the containers in mind. Docker can be a bit overwhelming to figure out at first, and the guys from the Codefresh inc. are well aware of that. In addition to working with existing docker files, you can choose from several different templates to ease the migration of your project to Docker containers. UI is clean and intuitive, there is almost no need to parse through the documentation to start using it. The reason this CI tool deserves to be on the list lies in a feature that surprised me a bit. And that feature is launching your images to a stage-like environment. When the build finishes, you can launch the image to see if it works! That effectively means you get a staging environment without a need to provision additional virtual machines or deploy anything. And that’s great! Codefresh is still very young and has room for improvement and new features, (eg. .NET core template and more deployment options), but it treats containers as a first class citizen and that makes it an ideal solution for any team that plans to utilize Docker. Verdict: Easy to use tool with Docker containers at its core and very nice feature of launching the built Docker images to the hosted environment. 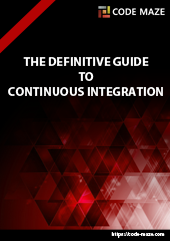 So, What Is the Perfect Continuous Integration Tool for You and Your Team? There are several things to keep in mind when choosing the right CI tool for your projects. Another important thing is the Docker support. Docker revolutionalized the way we distribute our apps and has become something you should not ignore. Although the vast majority of the tools support Docker, some take it more seriously than others. Great post on CI tools. I work at ThoughtWorks and wanted to let you know about https://snap-ci.com/ which is also one of our products. Snap CI is hosted solution with support for Continuous Integration as well as Continuous Delivery through deployment pipelines. It’s available for free and paid. We’d love your thoughts if you have a chance to try it. Thanks for checking the article, I appreciate your feedback. I took a quick glance at the Snap CI and it looks really fancy. I will take a more detailed look in the next few days/weeks and try it out. Good luck with the Snap CI, looks like you guys have some great competition out there. Great. Let us know when you try it and if we can help you get started. Any particular reason you’ve omitted the inherent build/deploy capability of TFS or Visual Studio Online? While both TFS and Visual Studio Online have great CI features, they are a lot more than CI tools. It is hard to compare/contrast the features and popularity of such versatile tools with those used specifically for continuous integration. They are a great mention though and might even be the topic of some posts in the future. Thanks for the input. Good list but I see some of the players missing here, Shippable, Snap CI, Buddy…. I must agree with you Pavan. There are many solutions that I haven’t mentioned and I am sure some of them will catch up very soon with those in the post. I will probably cover some of the “rising stars” in some future post. I work for Codefresh, a Docker-Native CI/CD platform that allows you to manage your complete build, test, and deploy pipeline. I think it would be a great addition to the list (or any future posts). Check us out and let me know what you think! You’ve indeed outlined some of the best CI tools available as on date. Jenkins is my favorite and I use it in most of my dev tasks build/deploy/automation. The only downside is the lack of quick support and that is understandable because it’s a fully free software. However, it has improved a lot in the latest versions. It makes me so creative that recently, I created a job to sync clock on multiple non-windows nodes without using the NTP or any time server. And I was able to do it with ease. Nice list! Have you tried https://semaphoreci.com/? Our users regularly report that Semaphore is the fastest hosted CI tool and that they love the native Docker support and how simple the UI is. Semaphore has a great new feature, Boosters that allows developers to automatically parallelize Ruby test suites for even faster continuous integration. It’s also free for OS and 100 private builds/month. Just a typo … 😉 it is Scala and not Skala !